PETALING JAYA: Japan is heightening its efforts in its bid for the pro­­­posed 350km Kuala Lumpur-Singapore High Speed Rail (HSR) following the reported lapse in the Bandar Malaysia deal, according to Nikkei Asian Review. It said Japan’s Land, Infra­structure, Transport and Tourism Minister Keiichi Ishii was expected to call on three Malaysian ministers involved in the HSR project yesterday before meeting his Singaporean counterpart. “We will push for a specific proposal involving financing, talent development and collaboration with local companies,” Ishii was re­­ported telling reporters here. The minister was in Kuala Lum­pur, to attend a high-speed rail symposium. Nikkei Asian Review added that both the Japanese public and private sectors were collaborating to pitch for the HSR project estimated to cost RM60bil. Japan – famous for its Shinkansen trains – and China are among the keen contenders for the HSR, with its main terminal in Kuala Lumpur located in Bandar Malaysia. Japan takes pride in its system’s reliability and quality, and cost-effective technology while China is banking on its experience of operating the world’s largest high-speed rail network. Other parties that have ex­pressed interest in the HSR project included France and South Korea. 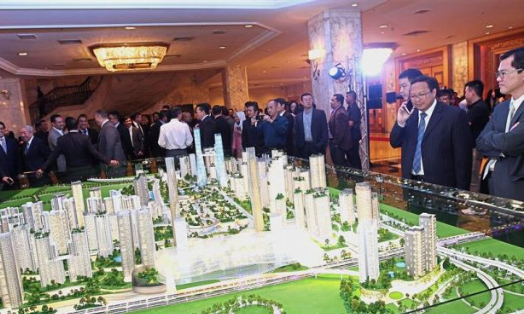 On Wednesday, the Finance Ministry announced that it had called off the deal to sell a 60% equity stake in Bandar Malaysia to a consortium comprising China Rail­way Engineering Corp (M) Sdn Bhd and local partner Iskandar Water­front Holdings Sdn Bhd.